Mary Anne Le Bas has sent an SCMP article, Six home-grown Hong Kong trades at risk of dying out, published on 21st June 2015. The last of these is about one of the few remaining Hong Kong companies that make neon lights. The article begins: Leung Lap-kei runs the China Neonlight Advertising Company, in Mong Kok. 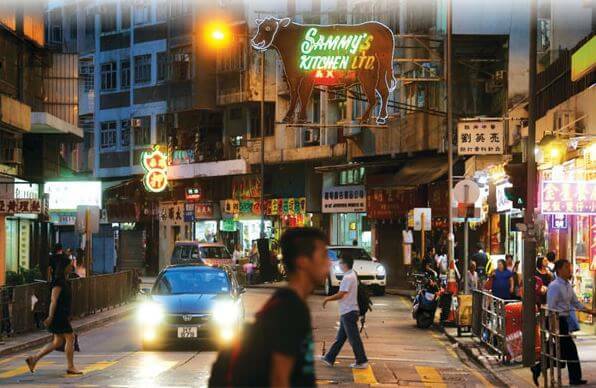 Neon signs were once synonymous with Hong Kong streetscapes. Blending art with industry, they helped to create a dazzling city. As the number of businesses making neon signs dwindles, they are gradually fading from view. 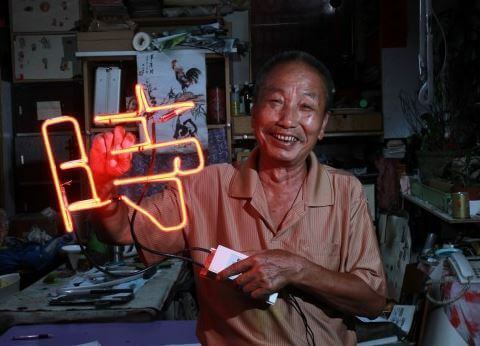 “Making neon lights by hand requires skill. You have to understand the physics and chemistry of the technology, and you have to be quick with your hands. Glass tubes are heated with an extremely hot flame and then bent into the desired shape at great speed, before the glass cools. This task suits younger workers. I started in the industry when I was 40 years old, so I mostly concentrated on design and marketing. “In the 80s and 90s, the industry thrived and we made a lot of money. We made signs for shopping malls, hotels, restaurants and individual shops. The malls and hotels provided their own designs, but restaurants and shops would brief us on the colour scheme and general look and ask us to create the design for them. This article was first posted on 8th July 2016.